HANK PHILLIPPI RYAN: I'm married to a lawyer. For a mystery writer, this is a very very good thing. Having "in-house counsel" is about as good as it gets--especially for questions like: If I stall my guy in the police department interrogation, how long before the defense attorney goes crazy? Can a police officer lie to a suspect? What do judges really say at sidebar? What's the difference between voluntary and involuntary manslaughter? Can I name a real place in a fictional story? Anyway! If you don't have in-house counsel, now at least you have in-Jungle counsel. Today the Reds welcome our dear pal Leslie Budewitz, who has generously and brilliantly handled questions for her sisters in crime for years now--pro bono! And we are very pro Leslie. So, drumroll, on this True Crime Tuesday, we'v got a legal expert on retainer! And Leslie has graciously promised to come answer all our questions... and, bonus, we are giving away a copy of her wonderfully valuable book to one lucky commenter! So many novels, movies, and TV shows touch on the law. Mysteries and crime novels, of course, typically involve an investigation, and often a prosecution. Both law enforcement officers and P.I.s need to know what’s legal and what isn’t. Even amateur sleuth stories often involve the law–the chef/gardener/bookstore owner may get involved because she thinks law enforcement won’t investigate or is focusing on the wrong suspect. Past crimes may surface with present ramifications, some legal, some illegal. Plots and subplots in mainstream and literary novels may involve the law, too. But legal plots don’t require a crime. In a good storyteller’s hands, civil law can be equally gripping. Think of the possibilities in adoption (A Theory of Relativity, by Jacquelyn Mitchard, or Run, by Ann Patchett), inheritance (Dickens’ Bleak House), even insurance (Double Indemnity, a great book and even greater movie). And there are plenty of opportunities for mistakes, because the law is complicated and changes constantly. Plus most of us, thank goodness, live happy lives without facing serious legal issues. Here are a few common mistakes that get under my skin. **Using the wrong terms, particularly in identifying prosecutors and courts. On Law & Order–and I love the show–the prosecutor is the D.A. Elsewhere, she might be the County Attorney, County Prosecutor, State’s Attorney, even People’s Attorney. Is she in District Court, Circuit Court, Superior Court? It’s easy to check, whether you live where your story is set or not. If you aren’t sure of the terminology, call the court or the prosecutor’s office, or check their website. Read news accounts of recent prosecutions in the newspaper online. No doubt you’ll pick up some good local flavor, too. **Assuming law enforcement officers need a warrant to make an arrest. Police don’t need a warrant to make an arrest in a public place, or in “exigent circumstances,” such as when an officer witnesses a crime or is pursuing a person suspected of committing a crime. But they still need probable cause. **Not knowing when a Miranda warning is needed–and when it isn’t. A warning is required only before custodial interrogation. That is, only suspects in custody need to be warned, and even then, only before questioning. Voluntary statements by persons not in custody or not made in response to questioning are admissible. A suspect who’s been warned can waive his rights and agree to questioning. Of course, mistakes are fodder for writers. **Sentencing a defendant immediately after a criminal conviction. Sentencing is a separate proceeding, usually held after a pre-sentence investigation by a probation officer or other local equivalent (terms vary, remember?). Prosecutors and defense counsel need time to review the report and make recommendations. A few weeks is typical. Sooner is possible–Casey Anthony was sentenced within a week or so after the verdict, but the charges she was convicted of were relatively minor and the investigation may have been expedited because of the circumstances. If you need sentence imposed soon to serve your story, you may have to fudge a little. Just don’t let your fictional judge hear the verdict and impose sentence right away. **Allowing lawyers–or their clients–to argue with the judge, especially after she’s ruled. Don’t do it–not if you care about your characters or their case. But if you want to piss off your fictional judge, go ahead. Your chances of success are excellent. Obviously, mistakes happen in real life, which is why lawyers file motions to suppress and appeals. But they also add to the drama and create great opportunities for tension and conflict. Is it ever okay to make a mistake on purpose, to fool the reader? I don’t think so. Exaggerate a bit for drama, sure, but to deliberately build a story on a faulty premise breaks faith with the reader. At Bouchercon, the international mystery convention, in St. Louis last month, I moderated a panel on forensics in fiction. Former prosecutor Marcia Clark made a point I heartily endorse: The more we tell the truth, the more dramatic it is. We don’t need to lie about the facts to tell a good story–we need to find the story they tell. I’m happy to answer questions in the comments. Thanks so much to the Reds for letting me come over and play! HANK: Yay, Leslie! Thanks so much! So, Reds, fire away...what legal issue can Leslie untangle? And remember, I'll send a copy of her new book to one lucky commenter! Leslie’s also got some fun news to share: She’s just accepted a three-book offer from Berkley Prime Crime for The Food Lovers’ Village Mysteries, set in NW Montana, and debuting in 2013! HANK: WOW!! Fantastic!! SO happy to celebrate with you! First of all, hooray Leslie, we're so happy to hear the news about your contract! And thanks for being here today. Later in the story, he's arrested and taken into custody, still mum about the circumstances. Of course they hire him a lawyer, but it is plausible that Hayley would still be in the dark about the evidence against him? Or, after the lawyer has been told, would he then he tell his clients' friends about the circumstances? Congratulations, Leslie, and thank you for the good tips! My question: If you've ever seen it, how accurate is the TV show The Closer? I don't have a question off the top of my head, but nothing throws me more as a reader than to catch a mistake or suspect an author is winging it with accuracy. It pulls me right out of the story. Your book is a good resource to keep that from happening. Congratulations on the book AND the novels to come! Wow!! My question: does the prosecution have to share evidence it finds with the defense - and if so, when by? And the reverse:does the defense have to share its evidence? HI everyone! And again, congratulations, Leslie--I know you'll come visit when the book comes out! And will you tackle that constant question--what about using a real place in a mystery? SHould I kill someone in room 242 at the Westin? If I call it The Bestin, will that help? Hank, I was going to ask that one! Many congrats, Leslie. Nice to see things taking off for you. My first question is like Hank's only with people. What about those mystery characters inspired by real people? But I suspect that people familiar with this setting's history will still be able to guess who the inspiration for a particular character is. I slipped up on a Miranda in my first book, will not let it happen in the next. Silly me, I thought publishers had checkers watching out for that kind of thing. you're at the top of my reading list. Oh, love you Easterners! 7 comments when I turn on my computer! Lucy, Hayley's the protag, right? Her pal won’t discuss the murder with her, and you wonder whether his lawyer would tell her the evidence against him? He certainly won’t reveal his conversations with the client – attorney-client privilege. As to non-privileged info, there’s no legal bar – no rules of professional conduct, aka ethics – preventing him from telling her, but generally he wouldn’t, esp that early in the case, and if he knows his client has already refused to talk to her. He’d need a really good reason to tell her anything about the evidence. And keep in mind that at that point, he doesn’t know a lot, either. Hard to give examples without knowing your story, but here’s a possibility: say he needs to verify the client’s alibi or confirm his relationship with the victim. If Hayley would know about that, the lawyer might ask her questions, and implicitly reveal some evidence. Thanks, Cathy! Have to admit I haven't seen The Closer, popular as it is. Too many good shows -- I can't keep up! Thanks, Ramona! And thanks for getting me started on the right foot this year, with your skillful editing of Fish Tales: The Guppy Anthology! Thanks, Hallie! I'm thrilled to be here -- and about the cozies to come! “Does the prosecution have to share evidence it finds with the defense - and if so, when by?” Yes–some of it, at least. Under a US Supreme Court case called Brady v. Maryland, the prosecution must disclose all “exculpatory evidence,” that is, anything likely to demonstrate that the defendant did not commit the crime. The judge will set a deadline for disclosures, usually in a hearing fairly early in the case, sometimes called an omnibus hearing (but remember, writer-readers, terms vary state by state!). “And the reverse: does the defense have to share its evidence?” No. It might share some in plea negotiations, but the defense does not have a reciprocal Brady obligation. Oh, Hank, you’re right. The writer’s eternal question. Generally a bad idea to kill someone on identifiable private property without the owner’s permission. There’s a variety of possible legal claims–trademark violation, defamation, damage to the business reputation.–and while a lawsuit might not be likely, and very hard to prove, we’d all rather avoid it. (Even me, and I make my living off lawsuits!) Just make it “the hotel,” or give it a totally made-up, non-identifiable name. Or kill him in a public place–that’s fair game. Besides, if you killed him in the Westin, they’d never let you stay there again! 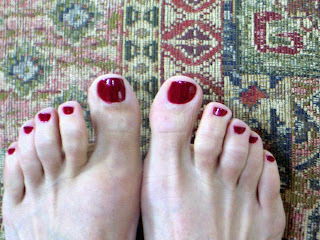 Thanks, Leslie!What a great blog!And congrats on the new series. Edith, great to see you here! And thanks a million! Rhonda, great to see you and thanks, thanks, thanks! Yes, disguise–unless Mark Twain or Eleanor Roosevelt walks on. :) You can certainly use a real historical, public figure, although they or their estate may assert a right of privacy, I forget for how long, so you wouldn’t want to turn Bill Clinton or Arthur Ashe into a detective, or heaven forbid, a killer! But I think you’re talking about real-life folks who aren’t public figures, and they have very high rights of privacy. Change their names, appearance, backgrounds–and as you write, they’ll change some more and pretty soon, even you won’t know who inspired them! Thanks, Mary! There is more on Miranda in the book. Weird tidbit: After he got out of prison, Ernesto Miranda made a nice little sum selling signed Miranda warning cards! Until he was stabbed to death in a bar fight, that is. Congratulations on the contract, Leslie! And thanks for beating the drum tirelessly about accuracy in legal matters in fiction. As a paralegal, I've thrown more than one book across the room because of stupid dumb legal mistakes that an author could totally have avoided with a tiny bit of care. I did have one followup question to your comment to Hallie, because I've never seen the situation come up in my real life work: Suppose the prosecution fails to turn over potentially exculpatory evidence as required by Brady v. Maryland. What kind of consequences do they suffer? Presumably, a Brady violation would be grounds for appeal, but if the violation is discovered earlier, can the prosecution be sanctioned by the judge? Can the prosecutor be punished by the State Bar? What happens in the real world? Okay, this time I'm going to finish typing before I post my comment. Leslie, congratulations on the new series! Here's my question: If my lawyer knows something that has bearing on an on-going criminal case, and was told that information in confidence by her client who isn't the person involved in the criminal case, does she have to go to the police with what she knows? Hi, Leslie. First, congratulations on your three-book deal. That's tremendous! Second, thanks for the clarity on how the legal system works. I spent years in the media and cringe when I read (or watch) some implausible situation. The real thing is mysterious enough! So great to see you here and congratulations. Here's my question. Is it true a spouse cannot be compelled to give evidence against a spouse? If so, what about crimes committed before the marriage--ie is it a strategy to marry in order to protect a spouse from being compelled to give evidence about crimes committed before the marriage took place? I think the consequences will depend on when the defense finds out that the prosecution had undisclosed Brady material. If discovered during the trial, there might be a mistrial, or a short continuance to allow the defense time to figure out how to respond–normally something a judge tries to avoid. If the defendant’s convicted anyway, yes, it’s grounds for appeal. If discovered much later, the def would have to file a habeas corpus petition and request a hearing. Yes, the judge could sanction the prosecutor. Bar discipline is also possible, although I gather from a quick Google search that state responses vary so much that experts disagree on whether it’s effective in limiting violations. Keep in mind that bar discipline may help your story by putting heat on the lawyer, but by itself, won’t help the defendant. Your question is actually discussed in my chapter on legal ethics! If the lawyer got the info in a privileged conversation, she can’t reveal it. If you want her to be able to talk, without the client’s consent, then destroy the privilege by having the client tell someone else the same info, or by having a third person present at the conversation (e.g., client’s girlfriend also present = no privilege; paralegal present = privilege). If there’s no privilege, then the answer depends on what the information is, and on the rules of ethics, which vary by state. A disclosure to prevent death or serious bodily harm is treated differently than info that would, say, prevent a property crime. It can get pretty technical. I’ve never been in that situation, thank goodness, but if I were, I would probably consult with the ethics prof at the law school or state bar ethics counsel. "The real thing is mysterious enough!" That's for sure! Thanks for being here, Michele! And when you get a chance, Leslie--do tell us a bit about the new books! Another legal question: Does a person have the responsibility to tell authorities about a crime they think is going to happen? Oh, my captcha word is phriz. What your hair duz when it's humid. Wow, Leslie, CONGRATS! on the new series! 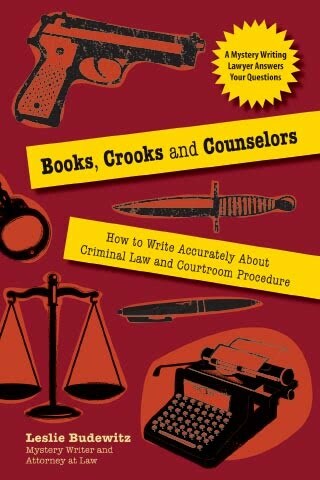 I'll also be picking up your faboo book on using the law - Books, Crooks and Counselors! Sounds like a Must Have for suspense writers! I'm loving all these questions and answers. Thanks! Hi, Barb! Another topic covered in the book! The spousal privilege is created by state law, so it varies–check your story state. Some states limit it to criminal cases; even then, it doesn’t apply to spousal or child abuse. It protects communications made during the marriage, so it would not prevent a spouse from testifying about acts or observations at any time, OR about communications before the marriage. The privilege continues after the marriage ends, for communications made during the marriage. Excellent, Leslie! We met at Bouchercon 2010, fellow guppies, but you aren't anymore! Congratulations, this is excellent. I'm curious about cases that are let go for lack of evidence. A person is arrested, but then new information comes in that casts reasonable doubt--basically the prosecution team isn't 100% certain the arrested person is guilty. Who makes the decision that there is no longer enough info/evidence to proceed with a successful prosecution? And what's the exact terminology: "released for lack of a case" or "released for lack of evidence" -- ?? Hank, generally, there's no obligation to report, although there are exceptions for lawyers, psychologists, and others who learn during their professional work of a credible threat of death or serious bodily injury against another person. The famous case is called Tarasoff v. Regents of Univ of California. Also, state statutes may require a doctor, nurse, social worker, teacher, and others to report suspected child abuse, sexual or not. Oh HO--so interesting! Thanks, Leslie! Just thought of another question. The term "custodial interrogation" still confuses me. This pertains to serious suspects, prior to an arrest, right? How long can the cops keep serious suspects without officially arresting them? They can dither around with them, leaving them alone for while, wearing them down, lying to them, all that stuff, but at some point they simply have to let the person go, don't they? How do cops keep serious suspects in for questioning longer? Get another warrant? Bring other lesser charges against them? Hank asked about the new series. The Food Lovers' Village Mysteries will debut from Berkley Prime Crime in 2013. They're set in Jewel Bay, Montana, a lakeside community on the road to Glacier Park that calls itself "A Food Lover's Village." The town hosts a lot of festivals, and each book will disrupt one with murder. Yes, there will be recipes -- I love to cook and eat! Hi, Lisa. I remember chatting with you in the hotel in San Francisco! If your character is released before being charged, then “released for lack of evidence” sounds right. If he’s been charged, the case is proceeding, and then prosecutors realize they won’t be able to get a conviction, they’ll dismiss the charges “without prejudice,” meaning charges can be refiled if stronger evidence emerges, within the time limits allowed by law. The prosecutor makes the decision. Exactly who–e.g., the deputy on the case, a unit chief, chief criminal deputy, or the elected prosecutor–will depend on the case, and dept size and structure. Perfect sense, Leslie. Thank you so much! Ah, Lisa. No simple answers there. “Custodial” means being held and not free to leave. If the person has been arrested, then clearly, he’s in custody, but the term could also apply to many other circumstances. There’s no hard and fast rule for how long police can hold someone without arresting, e.g., while they investigate by questioning him and other witnesses, running prints, etc. How long is too long will vary, and could be the basis for a motion to dismiss once charges are filed. If the person asks “can I go now?” and the answer is no, then he’s basically under arrest. Remember that no warrant is needed to bring someone in for questioning. Thanks so much for your answers, Leslie. VERY helpful. I'm looking forward to reading your books, nonfiction and fiction alike! Congrats on the book deal! My question has to do - I think - with freedon of information. Are all (or most) court cases a matter of public record? Can anyone get transcripts, or whatever the 2011 equivalent is? And how would they they go about it? Ro, court files are public documents, except juvenile court records. Some files may be fully or partially sealed, e.g., in custody disputes or litigation over business secrets or financial matters. Courts have had to develop rules for confidentiality, so we don’t disclose a SS # or other private info in a public record–still an evolving area. But while a court reporter “reports” all trials in a “court of record,” e.g., the primary trial court or “court of general jurisdiction,” but not in justice or city court, most trials are not transcribed unless there’s an appeal. If there is a transcript, you can request it at the Clerk of Court’s office, and look at it there or pay for a copy; if the file is closed, you may need to wait a few hours or days for it to be retrieved. And yes, you can count on huckleberry jam dripping off the pages! Congrats on the new contract, Leslie, and thanks for an enlightening back and forth with us. Confidentiality agreements...any way around them? 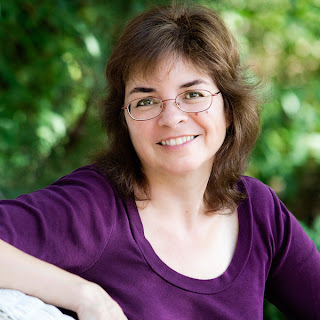 Fantastic blog post, Leslie, and I'm happy to learn about your current and future books. I'm a PI and a mystery writer, and I find that readers (and sometimes authors) often don't understand that the police are the investigators for the defense and private investigators usually work for the defense team. I find that a little frightening. One legal question that's frequently on my mind is why there aren't more charges of perjury, because lying on the stand happens frequently. Sorry for the delay -- out for a few hours. "Confidentiality agreements...any way around them?" Maybe, maybe not. Depends on state law and the circumstances. Are you thinking of confidentiality provisions in settlement agreements in lawsuits? Some states have declared them unconscionable in certain circumstances, e.g., where the suit involves a dangerous product and it violates public policy to keep it private. But if it really is private litigation, with no public consequences, courts are more likely to uphold them. "One legal question that's frequently on my mind is why there aren't more charges of perjury, because lying on the stand happens frequently." Ah, yes. Well. Sometimes lying is in the ear of the beholder (behearer?). A matter of interpretation, or simple mistake? Crosswalk accident and one party swears the light was green, the other red. Is one lying, or simply wrong? Wrongful discharge suit and the employer believes the employee deliberately violated company policy and used the co. truck for his own purposes; the employee believes he had permission to take the truck fishing b/c his own was in the shop and the boss knew it and said “have fun.” Lying, or misunderstanding? Perjury’s hard to prove. In most states, it’s more than just a lie, but a lie under oath, meaning you need prior sworn statements–not always the case. Imperfect people, imperfect system. But the best we have, nonetheless. Thanks, Reds and Friends, for inviting me to play today! Hi Leslie, cheers for your book deal with Berkley Prime Crime! In my fictional location in California, I've got a rich, dying old man with his kids warring over their contemplated inheritance of multi-millions. As currently contemplated in the story, the old man requires his beneficiaries to have had a child (in-wedlock) in order to inherit from his estate. Without meeting that requirement by the time of his death, one gets only a small pittance. One character adopts a child to qualify, and this is acceptable in the terms of the Will. The old man is in his 80s & also infirm, but not senile. Is there likely to be a contest to the Will with such a provision? The Will can have been drafted and on file since years earlier. If the Will is contested, how long does it take usually to clear that up? You are not going to believe that I actually know of a case with similar facts. Google Estate of Sue Ford Bovey Montana, and write me privately if you have more questions. Leslie, thanks indeed. As you suggested, I have done internet search and have read much about the Sue Ford Bovey Estate. Although not the same legal "soup" as in my story, it's quite compelling reading. I appreciate your offer and will forward a couple questions to you. First I need to chew on this bone for a while. Thanks again, Reds et al. I'm so excited to discover you and your book. I'll be looking for it soon. And congratulations on your new book deal! The story I'm working on now involves a new lawyer hired by a small law firm in Lexington, KY. I'm trying to figure out how his day flows. Will he mostly do grunt work, or do the paralegals do that? Will he handle low profile cases? Thanks for your help! Leslie, I've just discovered this blog and you. I plan to get your book. Question: would the situation in CASTLE be legal? I mean having an non-law enforcement person in the interrogation room with the officer doing the questioning of a suspect? And allowing the non-leo to ask questions of the suspect? For my WIP I have a reporter working closely with a detective-can the reporter being in the interrogation room with the detective and ask questions of the suspect? And here I was going to ask if prosecutors drove pick-up trucks! Seriously, I do have a question. How involved would a county prosecutor be in the investigation of a murder case in a small town? Would he sit in on the police meetings regarding the investigation? Avi, too funny that you already knew the case! Can you believe Ford actually had his ashes shot out of a cannon at a bar?!!? The bar's about half a mile from our house -- quite the spectacle! Jackie, depends on the firm’s practice. Assuming a general practice with some litigation, he’d be given files to read, asked to sit in on client meetings, and go to depositions and to court with other lawyers to see how things are done. He’d be asked to do research, write first drafts of briefs and substantive letters, draft discovery responses, and so on. After a bit, he’ll start going to court on minor or unopposed motions, maybe handle low dollar cases, attend minor depositions by himself, and build from there. Terri, I can’t think of a reason why it wouldn’t be legal to let a lay person participate. But it wouldn’t be very smart. :) The detective or prosecutor – whoever is interrogating – has a plan for the interview, and giving up partial control could cause big problems. Even the presence of a lay person would change the dynamic, and even if they agree to stay quiet, you can’t control their gestures, expressions, or sounds. If my law partner and I interview someone together, we’re on the same wavelength and we know where we’re going, so it works; I’m sure police officers who work together regularly are much the same way. But if you can make it as fun as Castle is, then give it a shot! HANK SAYS: Leslie, you are wonderful! Thanks you so much for all your hard work and attention! We'll announce the lucky winner of your book soon--I have it all ready to put in the mail! Ruby, very involved. And yes, I think he would participate in at least some meetings with police or sheriff’s deputies, reviewing the evidence, strategizing, and the like. And the winner of Leslie's book is: Lisa Alber! Lisa, contact me via email h ryan at whdh dot com and I will send you the book instantly! Leslie, that did help. Thanks so much! Seeing this belatedly -- thanks Hank and Leslie! Hi, Leslie. You have always been so helpful whenever I've asked a question. Thank you and Jungle Red for inviting us to ask questions! Here's mine: If the terms of a will were not met because of criminal action several generations in the past and this was discovered in the present, would the property be redistributed by law to the descendants of the intended heir? Specifically, the person had to complete a task before she could inherit the property, but she was murdered so she could not complete the task. Thanks! I know married couples arrested for a felony can't be forced to testify against one another, but can one cut a deal, or seek immunity and the other goes to prison?